Soliant and Sunbelt Staffing are two brands owned by Adecco, specializing in medical recruitment. One key area for both is nursing jobs, and in particular, travel nursing. 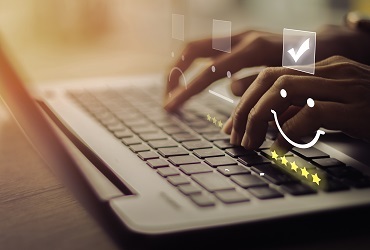 In the recruitment market, the SERPs are dominated by general jobs boards such as indeed.com and Simply Hired, as well as local operators in each regional market. There are no local offices, which means that we cannot employ local SEO tactics such as Google MyBusiness pages. 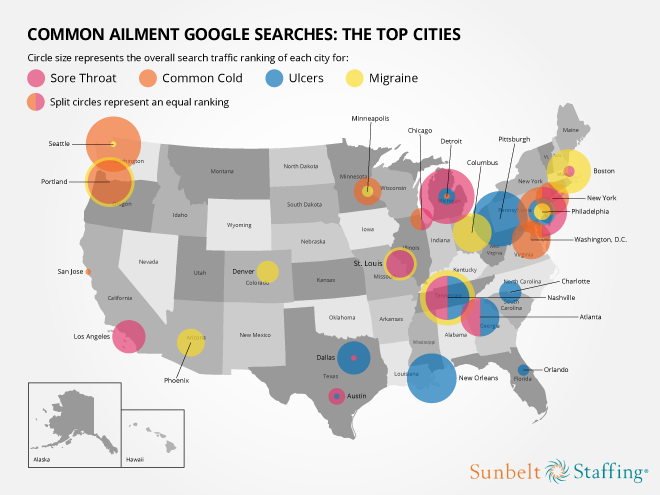 The campaign centered around using Google Search Trends to find out which ailments US regions were searching for the most. The following topics were covered.